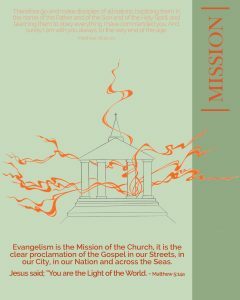 Evangelism, the mission of the church. At the end of Luke’s Gospel, we read how Jesus revealed himself to select groups of people. Firstly, to the women who went to the tomb and found it empty, then Jesus met the two disciples on the road to Emmaus. At the end of the chapter 24 Jesus appears in the room where the eleven disciples were meeting. The disciples must have been terrified, they had seen Jesus die, and now he simply appears in the middle of the room. Jesus begins to give them multiple proofs of his physical resurrection. He invites them to touch him and see that he is really in human form and not a spirit being. They were still struggling to comprehend what was happening when Jesus asks them for something to eat, and he eats the fish in front of them to prove his resurrection. Jesus’ resurrection from death opens the way for all who trust in him to follow him in a resurrection like his when he returns. This is important because it shows that our ultimate hope is not just for our souls to go to heaven, but for our physical bodies to be raised to new life like Jesus’ was (see 1 John 3:1-2). Jesus continues in verse 44 to show them that the Old Testament was not simply a record of history or a collection of stories and poetry, but rather the entire Old Testament points towards Jesus. In verse 45 we read, “he opened their minds to understand the scriptures”. This simple statement has profound implications, up till now the disciples had heard the teachings of Jesus, but they really struggled to understand the implications of what they were witnessing. Jesus gave them supernatural understanding of the Word of God. Jesus gave them a gift. True understanding of the Bible is a gift from God. As Christians we have the Holy Spirit in us, not only to guide and counsel but also to understand the Bible (John 16:13). The Bible is the supernatural word of God and before you open the pages pray for understanding through the Holy Spirit (pray Psalm 119:18). Jesus explained that his death and resurrection was the necessary process by which people can be restored to a right relationship with God. Jesus gave them the Great Commission, and then told them to stay in Jerusalem to wait for a mysterious power to do the work he was telling them to do. Jesus ascended into heaven with the promise that he would send the helper, the comforter, the third person of the Trinity, the Holy Spirit. As we go out to share the Gospel, we must never try to go out in our own strength, we must never go without relying on the Holy Spirit for direction, for wisdom and for power. It is the Holy Spirit who takes our weak words and transforms them into life changing authority. The disciples did not know what exactly Jesus was talking about, but as we know in the second chapter of the book of Acts, they were filled with the Holy Spirit and they were given the power to do what Jesus had instructed them to do. A witness is somebody who accurately reports what he or she has seen and heard. 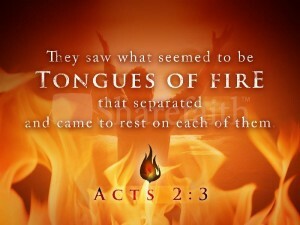 The disciples were witnesses, the word witness is used in one way or another twenty-nine times in the Book of Acts. As Christians, we are not judges or prosecuting attorneys sent to condemn the world, we are witnesses who point to Jesus Christ and tell lost sinners how to be saved. The Greek word for witness is “Martys”, which is where we get the word Martyr. 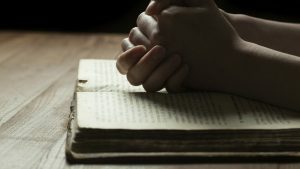 To be a witness for Christ will cost you something, it may cost you your reputation, or a promotion, in many parts of the world it will cost you your life. But the very act of sharing the Gospel is valuing the message and the person you are speaking to, more than your own comfort and preferences. This is what it means to be a follower of Jesus Christ. To value the Gospel more than our own lives, to value Jesus more than our own comfort. After all, didn’t Jesus value you more than his own comfort? Didn’t Jesus value you more than his own life? If you are in business, you probably know the terms “mission statement” and “vision statement”. A mission statement is the practical steps or short term goals, that we commit to do on a daily or weekly basis in order to fulfill the vision of the organization. 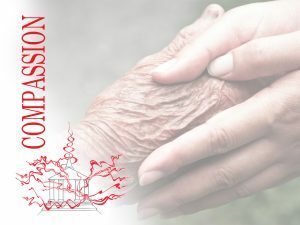 For the church, the Great Commission (Matthew 28:19-20) is our vision statement, it does not change and it guides our decision making towards short term goals of our mission statement. 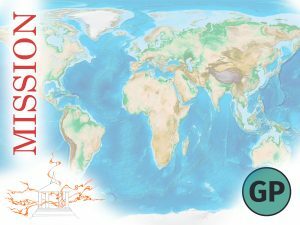 As a church grows and the community around the church changes, it is not uncommon for the church mission statement to change to reflect the growth of the church. However, the vision statement never changes. As the church, here at Grace Point our mission is to equip the saints for works of service, so that the Body of Christ may be built up (Ephesians 4). A healthy church always looks beyond the four walls of the church. But as individuals it is beneficial to have a personal mission statement. Do you have a mission statement? Have you stopped and written down some commitments that you would serve as a guide for your daily decision making? From time to time I have written a personal mission statement. Usually I take some time on New Year’s Day to pray and write down a personal mission statement in a bullet point format, and these points help me to stay on track for the year ahead. The Children of Israel had a mission. Their mission was to conquer and take possession of the Promised Land. Joshua their leader had taken the directives of Moses and led the nation well, and as the nation obeyed God, He was faithful and blessed them with the land. As we read in chapter 22, Joshua calls together the forty thousand warriors from the 2 ½ tribes of Reuben, Gad and Manasseh. These were true heroes, looking back to Numbers 32, Moses had allowed them to inhabit the territory on the eastern side of the Jordan, but with one condition, that they help the rest of the nation fight and claim the Promised Land. They remained faithful to the cause of claiming the promised land for 7 ½ years. For 7 ½ years they left their families, their homes and livestock and fought on a mission on behalf of the rest of the tribes of Israel. Why were they so loyal to their fellow Israelites? It wasn’t because of national allegiance, it was because they were loyal to the Lord God. It was His mission they were carrying out and they were fighting to glorify His name. This too should be the motivation for our lives (see Colossians 3:23). Now their mission is over and Joshua sends them off with rewards and great wealth for their efforts. As he sends them he issues a warning in verse 5. This short charge that Joshua gave to these men was because Joshua was fearful that they would become separated from the rest of the tribes and drift away from the Lord God. Joshua knew that they would be tempted to fall into complacency and forget all that God had done for them. This is an all too common occurrence in the history of the nation of Israel, the history of other nations and even the church. Whenever the victory is secured and the promised land, whatever that might be, is achieved, we forget the mission and the purpose of God. We forget the faithfulness of God, the miracles of provision and direction. Why has God placed Grace Point here on this hill in Kansas City, what is our mission? As we step in obedience to the call of God on this church, the specific mission that God has for us in South Kansas City, we will be amazed how he blesses us with people who will be called to the mission of God here. Some will give six months to the mission, some will give a few years, others will give their whole lives. But we must understand that Jesus is the builder and not us (Matthew 16:18). A legacy to live for will be a church that; reaches the lost, disciples and equips the saints and sends out the workers. If we focus on that God will take care of the rest. But what about your personal mission? Your personal mission is living your life with a very clear purpose and passion, being who God made you to be. Having a personal mission keeps you accountable to God for every day that He gives you. Then look at how God has gifted you; what are your passions? How has God wired you? It doesn’t mean that everything God calls you to will be comfortable or easy, most of the time it won’t be. But because he loves you so much, he is stretching you so that you make the very most of the days that he has given you. Use your mission statement as a filter and when opportunities come your way, use the mission God has given you to see if that is what He would have you do. Our lives can so quickly become filled with doing good things, that we lose sight of the best that God has for us. This applies to the church as well, we can be so busy doing things, that we forget our primary calling as a church. A good mission statement is a filter. Jesus is our perfect example of living a life on mission, he finished what he set out to do (see John 17:4). 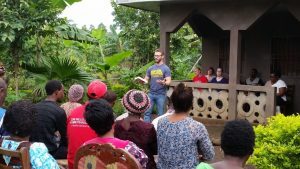 This past week, our small mission team returned from the town of Buea Cameroon. 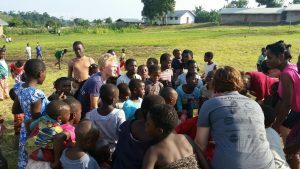 For most of our team, this was not the first mission trip to Africa, although it was our first mission trip to the country of Cameroon. As the mission team comes back and shares stories it is both inspiring and challenging. But how does it affect your life? 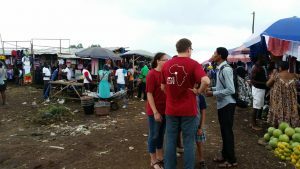 How does our church sending a mission team to Cameroon affect you in your day to day life? Jesus speaking to his disciples on the Mount of Olives in Matthew 24, makes it clear that we are all in this together. The mission that we are called to does not apply to a select few, rather we are challenged by Jesus to be involved and not to grow cold in our efforts to share the Gospel. In Cameroon we experienced a nation that seems chaotic and one filled with corruption at all levels. Poverty is everywhere to be seen and making a living in Cameroon is exceptionally hard, requiring most people to work much harder than the average American just to bring home enough money for some rice and beans. This past week we were once again reminded of the rise of evil in the world as we saw the news about terror attacks in Istanbul, Serbia, Bangladesh and Baghdad. The truth is that as Jesus warned us in verse 12, there will be an increase in wickedness. The world seems to be spiraling downwards as all around us we see the wickedness and the depravity of man. Verse 12 goes on to give a dire warning that the love of most will grow cold as a result of the increase of wickedness. What a sobering thought to meditate on. As we see evil on the rise in the world, it does affect all of us, whether directly or indirectly. If we don’t know where we stand before God and we don’t have a personal relationship with Jesus Christ, if you attend church simply because it is a social gathering or a place to go to because of tradition – you are in real danger. In order to avoid growing cold and falling away we need to completely give every aspect of our lives to the lordship of Jesus Christ. But Jesus gives a word of encouragement in verse 13; “but the one who stands firm to the end will be saved. “ I want to be one of those who stands firm, and is not given to discouragement. God commissioned Joshua in Joshua 1:9 with those well-known words; “Have I not commanded you? Be strong and courageous. Do not be afraid; do not be discouraged, for the Lord your God will be with you wherever you go.” Why would God warn Joshua not to be discouraged? Because God knew that he would face discouragement and we too are prone to discouragement. As we look at the world around us, we will easily be discouraged. But the truth of the promise given to Joshua is that Jesus gave us the same promise in the Great Commission in Matthew 28, where he promised to be with us to the very end of the age. This Gospel, this good news of Jesus coming to the earth to provide way of reconciliation with God. Must be preached in the whole world. In Cameroon there are 278 people groups, not all of them have heard the Gospel, our mission is not complete, there is still work to be done. Here in Kansas City, there are people who have never heard the Gospel message, there is still work to be done. Our job is not done until Jesus comes back again. That should be our primary focus in life. Over the next three weeks we have a mission teams coming to serve and share the gospel in our community. On Monday we served our community as we welcomed our neighbors to watch the fireworks from our hilltop location. Our friends from Team Xtreme and other ministries to helped to provide opportunities for people to respond to the Good News. And we had three young men who responded to the Gospel presentation. In two weeks time, we will be holding our annual VBS, again we will intentionally be sharing the Good News with the children who come and their parents. All these events and teams are good and energizing, but for us to be a church on mission, doing what God has called us to do, we must not simply hold events, programs, or even send international mission teams, we need to be a people who are daily on mission. Daily, individually asking God to use us. Daily pray that God will bring people to us that He wants to touch. Revival Part 4 – Why we need Revival. As we look through church history and even in the first century church, we see that the church does not always experience and uninterrupted and sustained move of God. There seems to be a waxing and a waning in the spiritual zeal of the church. As we look at the seven churches in the book of Revelation, we see that six out of seven had quenched the Spirit of God and were reprimanded for that. As we look at the church in the USA today, we see many churches in a state of decline. This has been going on for decades. The Gen X and the Millennial Generation have abandoned the call to attend traditional church. They are not interested in simply attending a church that looks like a social club or a lodge. Particularly Millennials are looking for meaning in life, their generation is marked by people who deeply desire to sacrificially participate in something that makes a difference. In essence they are looking for reality and a fresh move of the Spirit of God. As we see the decline in the church, we see a rise in Muslim fundamentalism, again, it is young people who want a cause to fight for and a cause to die for. The world is hungry for truth, new cults seem to appear each week, why? Because people have a God shaped vacuum in their lives that only the Holy Spirit will fill. We as human beings were designed to be in communion with God, we will never be satisfied with anything less. The church needs revival in order to reawaken the power of God in His church. To point people to the one true God. The Holy Spirit will move in power and we will see millions of people drawn to Jesus Christ as their Lord and savior. This is not a competition to see who gets the most followers, it is not a battle to see if we can get more converts than the Islam. In the end only the Christians will win. There is only one way to Heaven and only one true God. Our purpose is to be a church that points people to the truth. As we saw revival takes place when people are so moved by the Holy Spirit that they will run to the Christians and ask how they can be saved. That is why we need a revival.